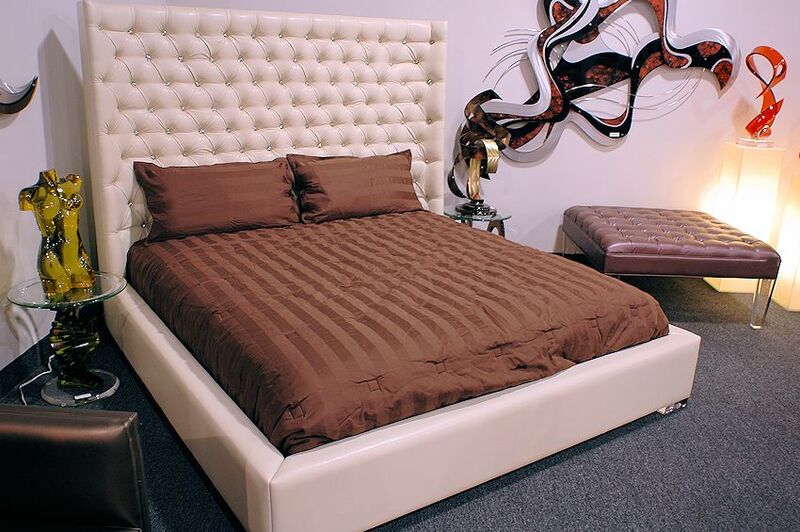 $ 6,995 - Sasha Queen Size bed with clear Swarovski crystals as shown. 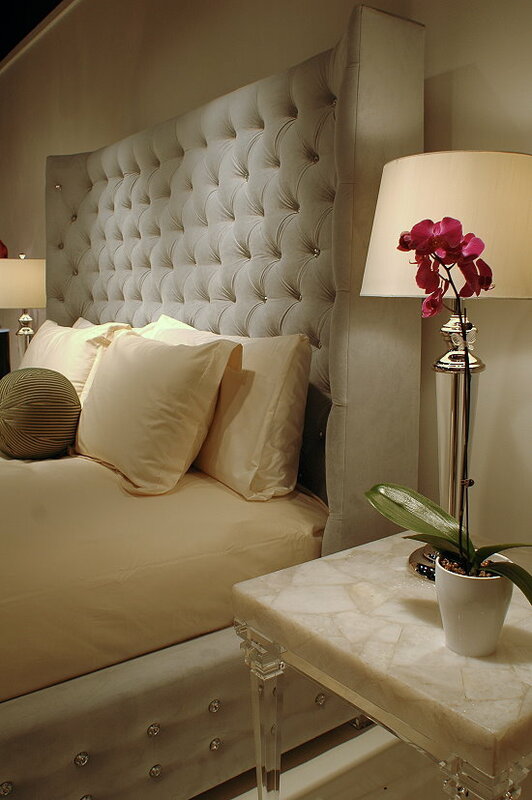 Sasha bed custom made in any color Passion suede or vinyl shown with clear Swarovski crystals. Sasha in passion suede with or without the beautiful Swarovski crystals. The price is less without crystals. 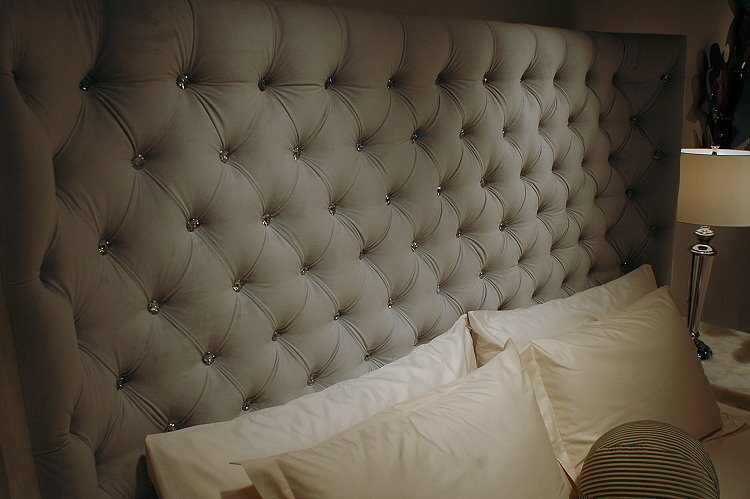 Sasha is beautifully tufted with the finest foam. Acrylic or wood legs. Custom made in CA. Dimensions: Standard King Size bed: 86" x 92" x 70"H | Queen Size bed: 70" x 92" x 70"H, and California King. 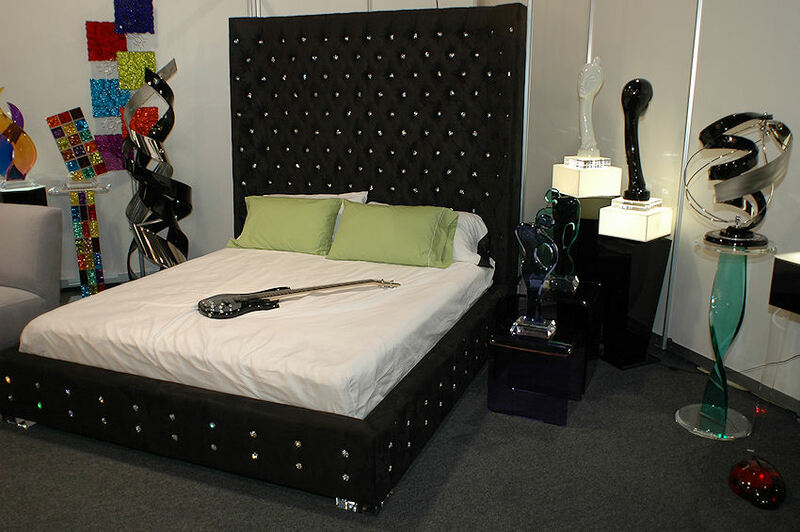 $ 6,295 - Sasha Queen Size bed with clear Swarovski crystals on headboard as shown. 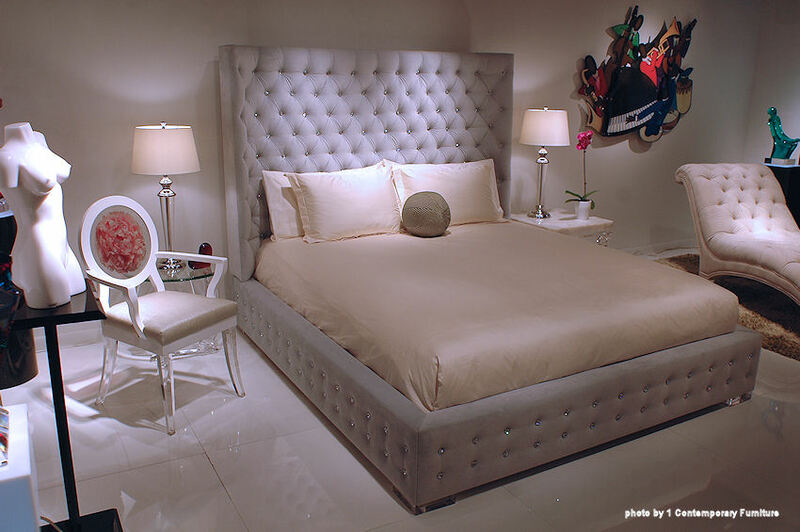 Sasha bed in Bone vinyl with clear crystals on headboard, but no crystals on sideboards. Sasha bed in Black suede with clear crystals and custom made high headboard 84"H.
Be certain it fits thru your door before you order. The crystals are 1" in diameter. That is a BIG stone. The crystals are tufted deep into the foam. Notice the radius sides on the headboard. Available in any color of passion suede or vinyl. Notice that the crystals are tufted deep into the foam. We measured about 2" deep. $ 5,295 - Sasha QS bed in Charcoal passion suede without crystals as shown.